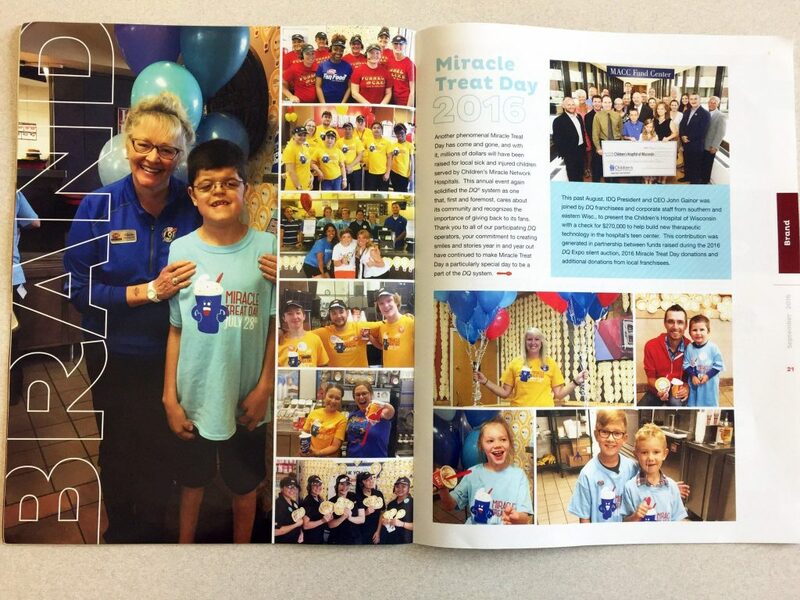 Dairy Queen Miracle Treat Day featured in World of DQ magazine – Dairy Queen Corp. The latest issue of World of DQ magazine highlighted the fun had during Dairy Queen’s 2016 Miracle Treat Day (July 28 in the United States and August 11 in Canada). 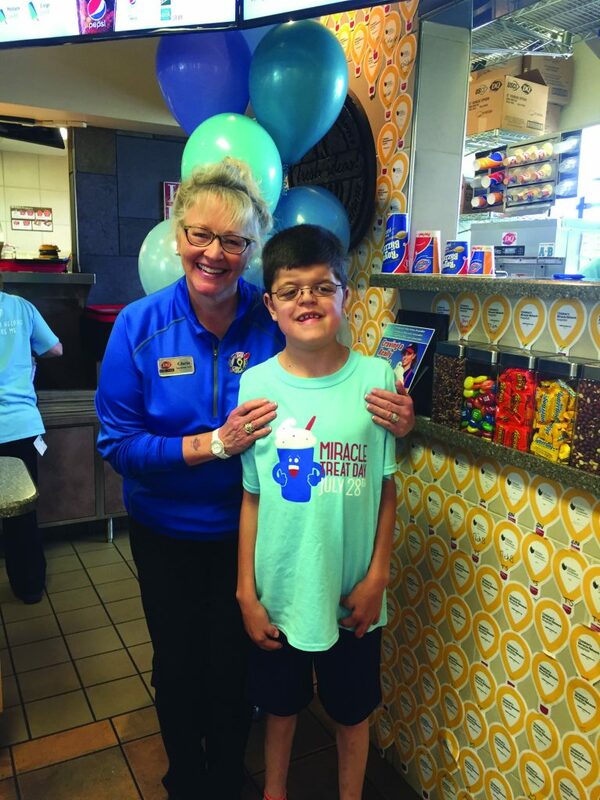 Millions of dollars were raised to help sick and injured children like Michael at local Children’s Miracle Network Hospitals during the annual event which donates $1 or more for every Blizzard sold. Dairy Queen reports that 2016 saw the highest ever franchisee participation in Miracle Treat Day. Thank you Dairy Queen fans and employees for helping make miracles!